Pisa, 07 february 2019. Tauopathies, such as Alzheimer Disease, are neurodegenerative pathologies caused by Tau protein disfunction. Tau is expressed in neurons and is involved in neuronal cells communication processes. Its main function is the cytoskeleton stabilization and the trafficking of synaptic vesicles toward synapsis. 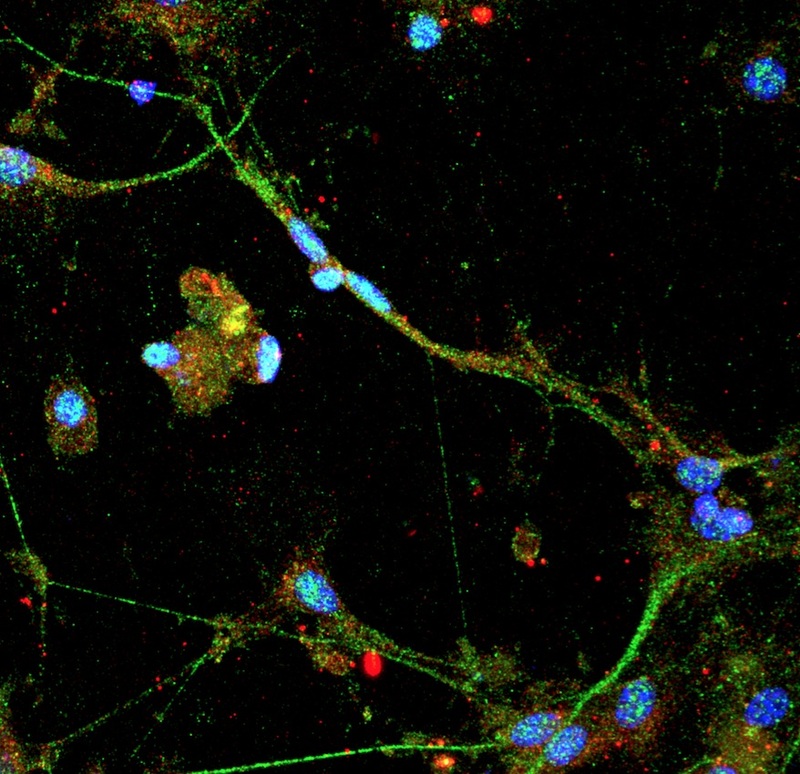 In pathological brain, Tau undergoes modifications, detaching from cytoskeleton and forming neurotoxic aggregates known as neurofibrillary tangles. Although 40 years of strong efforts investigating the processes leading to the formation of neurofibrillary tangles and the consequent neuronal death, the molecular mechanisms involved are still unknown . The team coordinated by Dr. Cristina Di Primio at Laboratory of Biology of Scuola Normale Superiore Bio@SNS (Director Prof. Antonino Cattaneo) discovered a new function of Tau protein: a small amount of Tau localizes in the neuronal nucleus and modulates the expression of genes involved in the pathology. 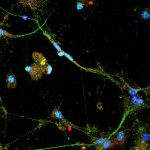 To This result has been obtained in cultured healthy and pathological human neurons, by isolating the nuclei and analyzing the DNA and the factors involved in its regulation. This methodology allowed to uncover that, in healthy neurons, Tau regulates the expression of a set of genes involved in the synaptic transmission while, in the pathological conditions it determines an altered gene expression and mimics the initial stage of the Alzheimer Disease. This novel function reveals an unknown molecular mechanism that might explain the onset of the Alzheimer Disease and indicates nuclear Tau protein as a new target for development of therapeutic strategies. The study is published in the Journal of Molecular Biology by Giacomo Siano (First Author), a PhD student of the neuroscience program together with students and post-docs of Scuola Normale Superiore and the Department of Clinical and Experimental Medicine of University of Pisa.